In a very small amount of oil saute the garlic until golden brown and beginning to crisp up. Pour in the water, and bring to the boil. Next add the celery, Maggi sauce, and fish sauce and pepper powder, and stir until it boils again. Now add the rice, preserved cabbage, shiitake, and return to the boil, continuing to simmer, stirring occasionally. Now add the shrimp, and cook until they turn pink. Transfer to a serving dish, sprinkle fried garlic over each serving, and garnish with chopped coriander/cilantro leaves, we like to add a few thin slices of fresh ginger also (see picture below). 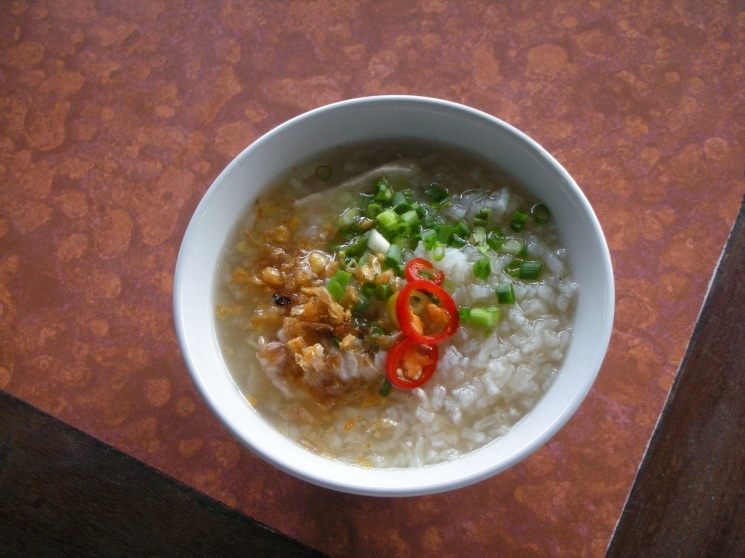 It is also popular to serve a small dish of moo yong dried pork on the side with this soup. 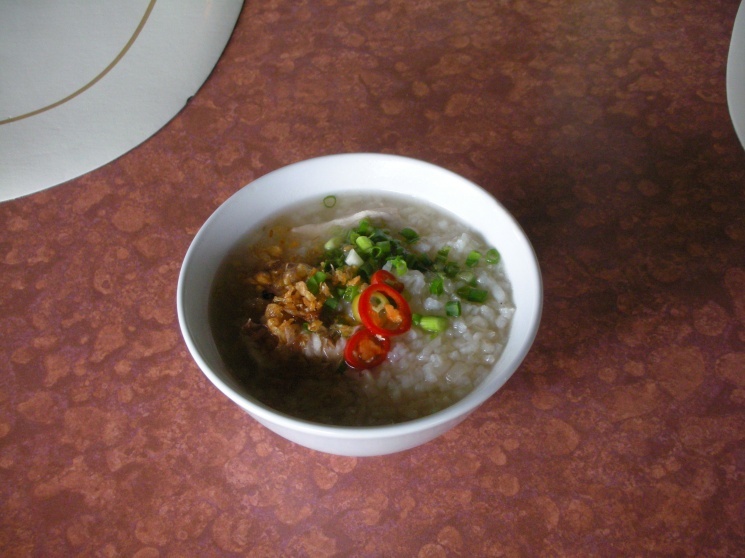 Used to have this for breakfast every morning when we lived in Bangkok from 2003 - 2005. 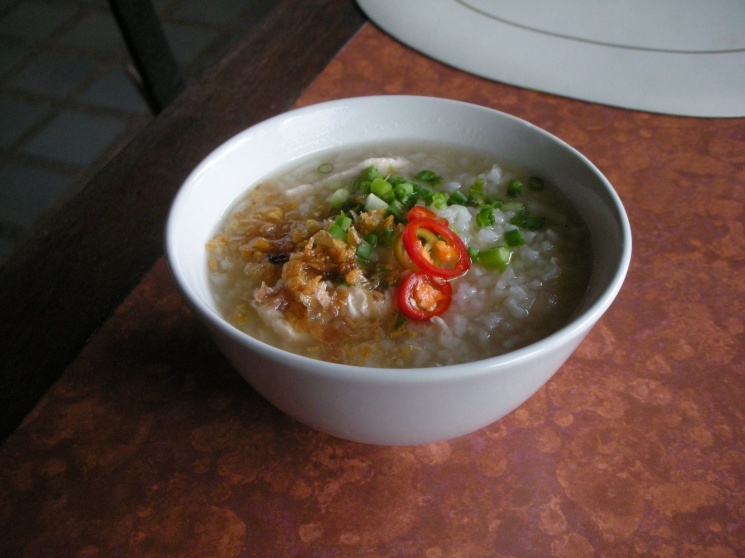 Really miss Thai food even though we prepare it quite often. Even the local Thai restaurants fail to create Thai food, Thai style. Really miss Kao Man Gai. I am a an Expat and have been back and forth to Thailand since 1968. Love this with sliced ginger and preserved radish, and don't forget fried garlic.